OWSD members can meet other members in their own countries and regions through activities organised by OWSD National Chapters. To view all active National Chapters, click here. What is an OWSD National Chapter? An OWSD National Chapter is a group of OWSD members who fully support the objectives and activities of OWSD, and aim to promote female participation in science and technology, in scientific leadership, and in the decision-making processes, both at the national and regional levels. Why establish an OWSD National Chapter? provide networking and information-sharing between institutions and individuals for promoting the increased participation of women in science and technology. initiate science-based activities that address national concerns working with all levels of society (grassroots, schools and universities). evolve and develop strategies for mobilizing financial and human resources towards achieving OWSD's objectives. What is expected from an OWSD National Chapter? Implement the OWSD programme and objectives at the national level. Initiate fundraising activities to fund national-level activities. Develop programmes to increase awareness - among political, NGO, professional and civic circles — of the value of gender equity and female participation in science and technology. Gather and disseminate information on equity issues in science in order to contribute to policy development. Initiate research projects in the areas of interest to OWSD with particular relevance to critical development concerns. Provide evidence of institutional support within the country e.g. office location and resources. Submit annual, detailed narrative and financial reports to the OWSD Executive Board and General Assembly. Provide the OWSD Secretariat with regular updated information on membership. Nominate a website contact person whose responsibilities will be to: publish an email address and possibly a phone number on the website; write and publish regional information for the website; create and update regional news of relevance to OWSD; suggest regional-level content for the global resources database. How does a group obtain the status of an OWSD National Chapter? Check this website (under 'Membership' - choose 'All National Chapters') to confirm that there is no existing OWSD National Chapter (or pending application) for the proposed country. 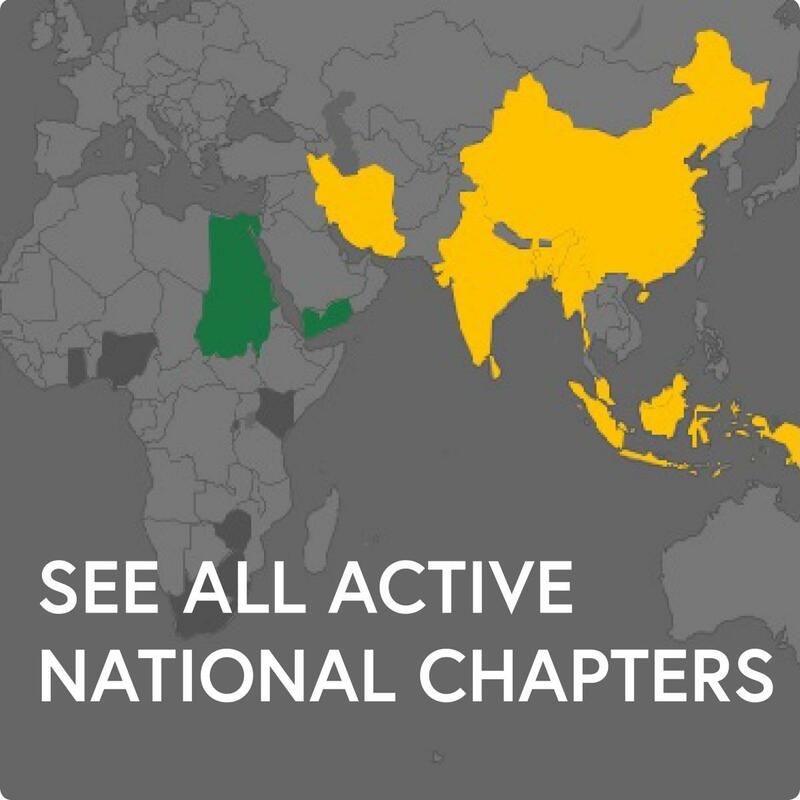 Only one National Chapter can be recognized per country. Complete and submit the National Chapter application form. The application will be considered by the OWSD Executive Board (acting on behalf of the General Assembly), in order to confirm that the proposed National Chapter meets the criteria (as required in the application form). Establish an Executive Committee with at least a President, Vice President, Secretary and Treasurer (or according to the legal requirements of the country) with a term of office that does not exceed 5 years. Members of the National Chapter can also appoint a chairperson or contact person. Provide a list of OWSD National Chapter members; these must first be registered with the OWSD Secretariat at www.owsd.net. (application form attached). OWSD members of the country must also become members of the National Chapter. Submit the constitution/statutes, objectives, policies, programmes and budget for the proposed activities of the National Chapter. Create an initial database of members. Provide a national physical address within a recognized institution where the National Chapter Secretariat will manage the administrative affairs of the National Chapter. The institution must have the resources and infrastructure to host and support the National Chapter. Members of the National Chapter can select the preferred hosting institution. What are OWSD's responsibilities to a National Chapter? Issue a formal letter of recognition to the OWSD National Chapter. Officially inform all OWSD members and all OWSD National Chapters of the location and contacts of the newly established National Chapter. Provide the newly constituted OWSD National Chapter with an information package and communications materials. This package will include guidance on accessing project funding from regional and international organizations. Publish information on the activities of various National Chapters on the OWSD website and update List as well as other print and electronic media. Provide training to at least one selected member of each National Chapter on how to ensure membership profiles are correctly uploaded to the OWSD website - and demonstrate how the website can facilitate exchanges between National Chapters and members from different countries and regions. Invite one National Chapter representative to the OWSD General Assembly as and when held, to report on the activities and progress of the National Chapter. Facilitate contacts between the newly established OWSD National Chapter and the relevant TWAS regional office. Facilitate contacts between the newly established OWSD National Chapter and the relevant national or regional science academy. Enlist support of TWAS and IAP in gaining recognition of the National Chapter by respective government ministries. What is the role of OWSD members in a National Chapter? If an OWSD National Chapter is established, OWSD members are encouraged to initiate, promote and participate in activities organized by the National Chapter.